The Karlsruhe-based company PI (Physik Instrumente) has used its many years of experience with piezo actuators and nanopositioning systems to develop an extremely versatile microscopy stage that has a very low thickness of only 30 mm and no disturbing lead screw ducts or motor projections. It is suitable for displacements of up to 85 × 135 mm. Its large aperture accommodates holders for Petri dishes, standard object slides or microtiter plates. The ultrasonic piezo drives used allow good velocity stability in the wide range from 10 μm/s to 100 mm/s. The stage can thus be used for direct visual observation at great magnification (objective 100x at approx. 10 μm/s) without "jerking", for example, which interferes with and tires the user on the ocular or monitor while controlling the XY stage with the directly connectable USB joystick. The user will also appreciate how quietly the stage works. 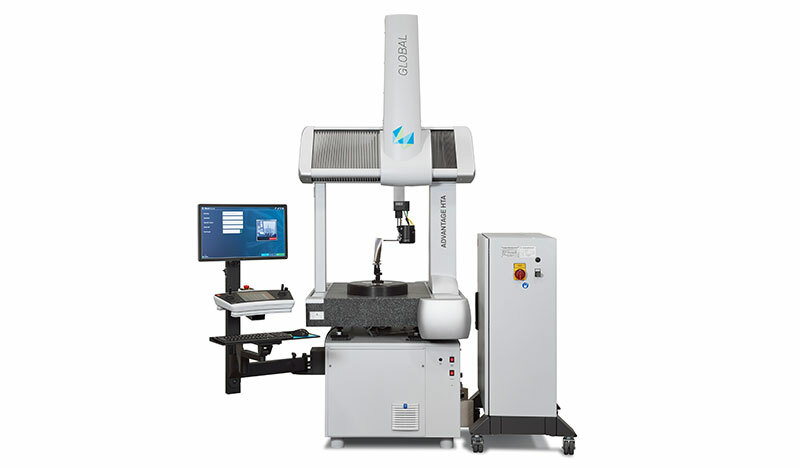 The same microscopy stage is equally well suited for automated scanning applications that require high velocities of up to 100 mm/s and short settling times. This high dynamic range of the XY stage is due to the piezo ultrasonic linear drives used, in which the high-frequency oscillation of a piezoelectric actuator generates the propulsion force. The patented ultrasonic motors work directly without intermediate elements, such as lead screws or gears, are backlash-free due to their great stiffness and position very precisely. In combination with a linear encoder, positioning resolution is 0.1 μm, and the bidirectional repeatability is 0.4 μm. As a result, so-called "points of interest" can be reliably found again and precisely approached. This is also advantageous in "high content screening" analysis technology, when many samples (e.g. tissue samples) are to be scanned. In addition to short settling times, the good repeatability is important here for "tiling" the images. The drive consists of a stator containing the piezoceramic oscillator and a runner referred to as a friction bar, which is directly fastened to the movable part of a carriage. The oscillation profile of the piezoceramic then produces the forward and backward motion of the drive, whereby the travel range is theoretically unlimited. The ceramic is preloaded against the friction bar and thus keeps it in its ‘at rest’ position when powered down. Unlike directly driven electromagnetic linear, stepper and DC motors, the piezo-based drive does not require any energy for this, and no heat is generated. Compared to electromagnetic drives, there is practically no thermal drift, and the position is maintained with a high degree of stability. This is especially advantageous for super-resolution microscopy, where one recording can take several minutes. Due to its "trace memory", the controller which is adapted to the microscopy stage and has an extensive software package, allows the trajectory to be displayed as a position/time diagram on a connected host PC. Its control parameters can thus be perfectly matched to the respective application. The piezo Z stages from the same manufacturer, which also have a very flat design, are ideal for positioning tasks in the direction of the optical axis, e.g. for stack recordings. They are available with a clear aperture of 160 × 110 mm and a stroke of 200 μm and can be mounted on the XY stage without an adapter and controlled with the same controller. Well-known for the high quality of their products, PI is one of the leading players in the global market for precision positioning technology. PI has been developing and manufacturing standard and OEM products with piezo or motor drives for 40 years now. With four German factories and ten subsidiaries and sales offices abroad, the PI group is represented internationally.